What do you get when you strip a Ferrari 328 GTS of everything but its powertrain, drivetrain, and suspension system? 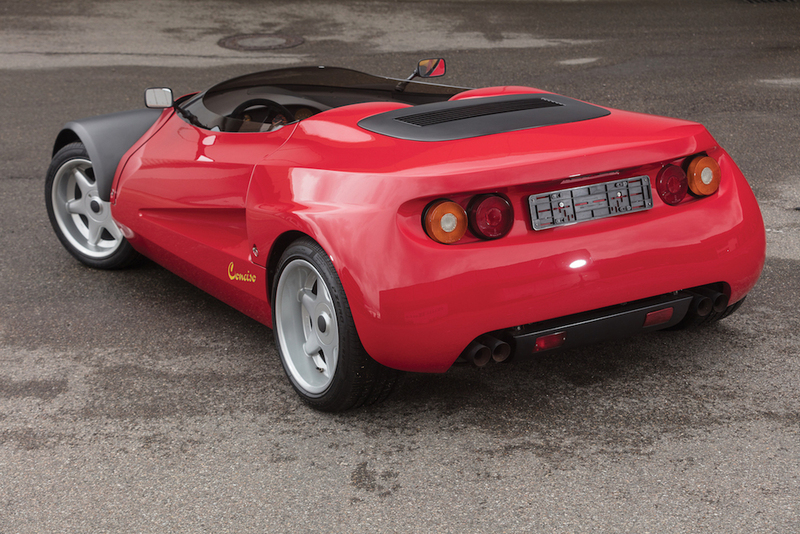 If you answered with "a coach-built, high-performance roadster concept," you're correct. 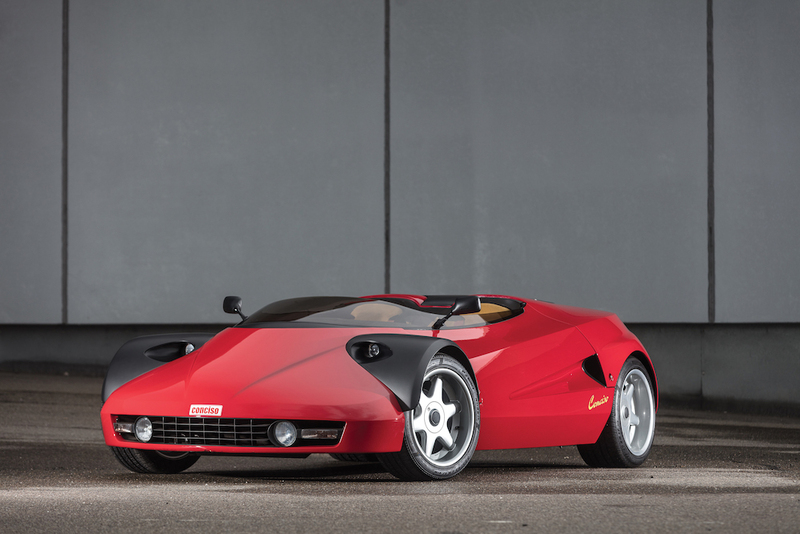 This 1993 Ferrari 328 Conciso concept is the result, and it's going under the hammer at RM Sotheby's Monaco auction in May. This car was custom designed by the Michalak automotive design studio in Mainz, Germany. 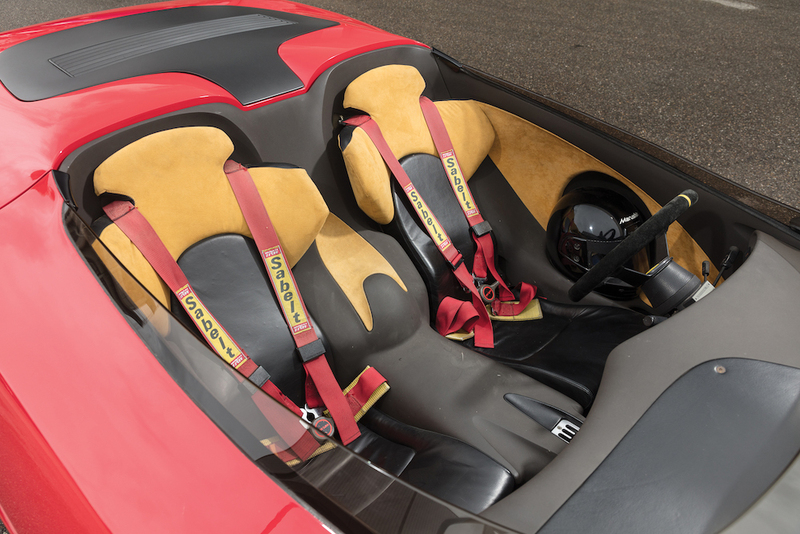 Michalak took a Targa-top 1989 Ferrari 328 GTS and stripped it of its bodywork and many of its components, leaving only the car's running gear and drivetrain alone. The coach-builders fitted a new aluminum alloy body, which lacked weatherproofing and doors. The new shell saves 30-percent more weight, resulting in a five-second 0-60 mile per hour time and a top speed of nearly 173 mph, a significant increase over the GTS's 5.9 second 0-60 mph time and 163 mph top speed. The Conciso retains the GTS's 3.2-liter, 270 horsepower V-8 and signature gated five-speed manual transmission. 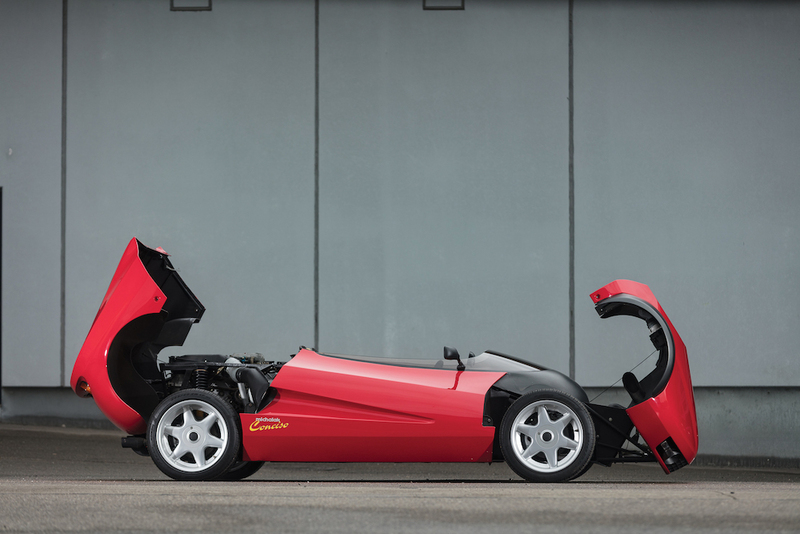 Only one Conciso was ever built, showcased at the 1993 Frankfurt Auto Show before it was purchased by a Belgian car collector. Although it sat for years, we won't dare call it a garage queen, because the collector had it on display in his living room until 1998. According to Coachbuild.com, the owner also put more than 6,000 miles on the car after registering it in Belgium. Now the car will go up for sale at RM Sotheby's prestigious auction in Monaco on May 12 alongside such cars as the Pope's Lamborghini Huracán. 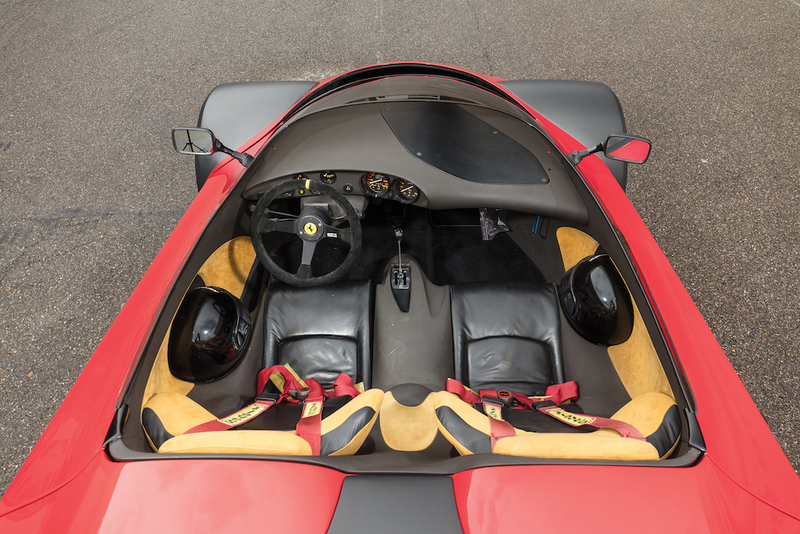 The Conciso's purchase also includes the car's homologation documents, various Michalak accessories, original photographs of the car, and two racing helmets. Sadly, RM Sotheby's doesn't have an estimated hammer price, probably because the car failed to sell at Bonham's Chantilly auction in September. 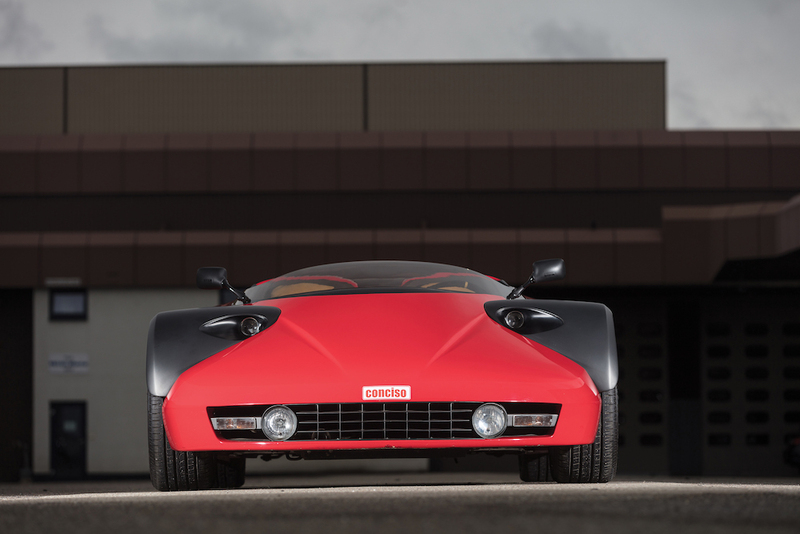 What do you think, is this one-off concept car worthy of a Tifosi's collection, or is it an abomination?